1. What qualifications do you have and when/where did you graduate from pharmacy? 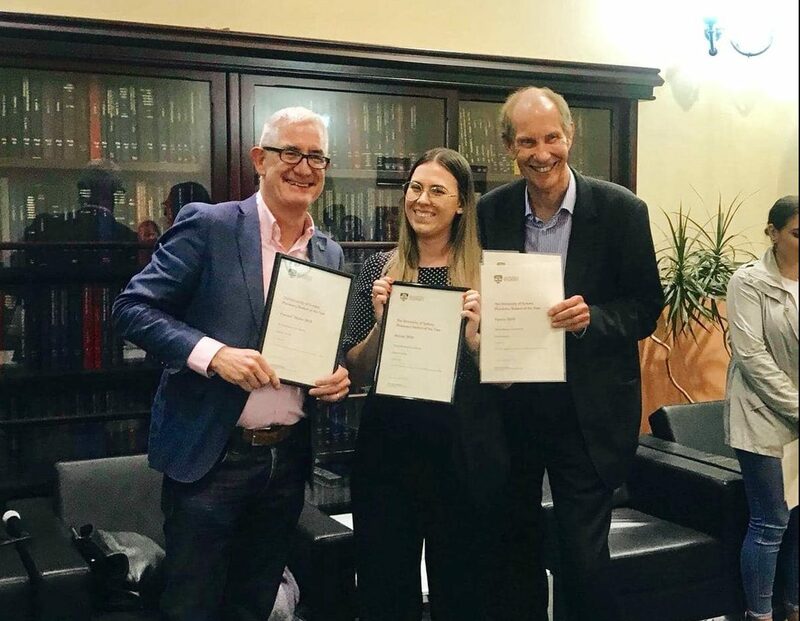 After completing VCE in Melbourne, I studied a Bachelor of Science majoring in pharmacology from University of Melbourne. It was in my final year of this degree, where I discovered my passion for understanding how medicines work. Coincidentally, I was very lucky to be working part-time in a community pharmacy alongside a very inspirational pharmacist. I would admire the way that they would care for each patient and make sure that everyone left the pharmacy having had an amazing experience in-store. I then applied for a position in the Bachelor of Pharmacy at Monash University, and graduated four years later in 2017 with honours. 2. Can you describe your work experience in the pharmacy sector so far? I have been very fortunate enough to work in two really innovative community pharmacies in Melbourne. Both pharmacies were iconic for their compounding and extra professional services including HMRs and DNA testing. This has definitely inspired me to pursue an interest in possibly becoming a pharmacist who specialises in compounding individualised medicines in the future. I have also worked closely with HMR pharmacists and am very keen to become HMR accredited as well as a diabetes educator. I love attending networking events and sharing my enthusiasm and passion for community pharmacy. 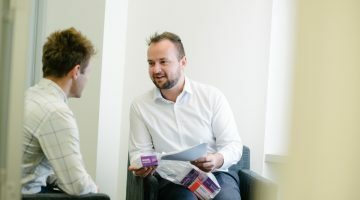 In particular I love sharing my passion with other younger students as I find, generally, as a student who has just been through university, there are a lot more people advocating for hospital pharmacy compared to community pharmacy. 3. Where are you currently doing your internship and what are you enjoying most about it? 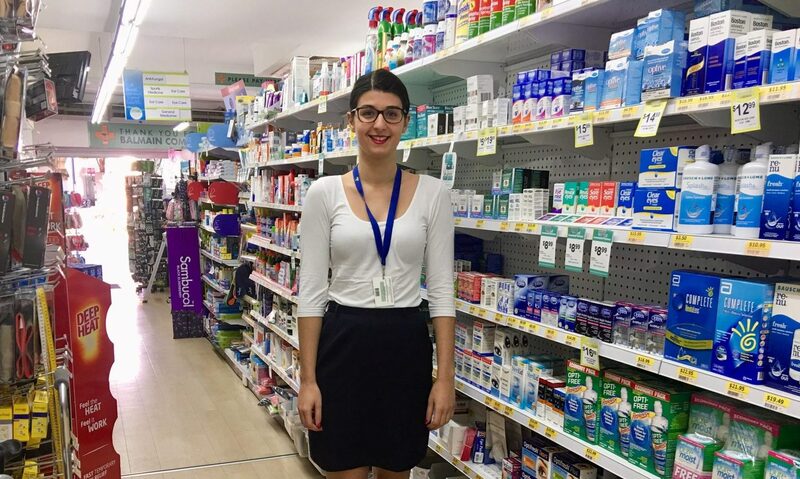 Currently I am doing my internship with Balmain Community Pharmacy with proprietor Caroline Diamantis. Balmain is a very warm, friendly community that values small business, traditional customer service and, most importantly, family. I am enjoying getting to know the community and I feel like slowly I am becoming a part of the Balmain family. I believe that to be able to really serve the community as a community pharmacist, you need to get to know each person, listen to their individual stories and understand where they’ve come from. When you get to do so, you quickly learn that everyone has a different story, and you can relate to them on a much deeper level. 4. If you could change one thing about pharmacy the way it is now, what would it be? That’s a tough question. Two things come to mind. Firstly, I would like to see some people’s perception of pharmacists as “merely as a dispenser of medications” gone. Furthermore, I would challenge all community pharmacists to get out from behind the counter and play a more active role. 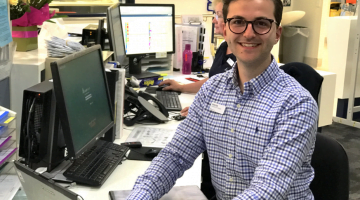 As community pharmacists, we can be so much more effective, and our job is so much more exciting if you get out from behind the counter and are more proactive when caring for your patient. Secondly, I would love to see pharmacists adopt more of a clinical role in monitoring chronic disease states and see them remunerated for their services. This is already starting to take place but I believe so much more can be done in this space. 5. So far, what do you think is the best thing about pharmacy? As pharmacists, I believe it is a privilege to be on the healthcare frontline, helping the people in our communities. It sounds cliché, but I just love helping people. The best thing about pharmacy in my opinion is that with every person who walks through the door, we have the chance to make an impact on their life. Whether that be helping them with some medication, lending a shoulder to lean on during difficult times, helping strap up a knee or ankle after a sports injury, or simply making someone smile. For me, that’s what get’s me out of bed every morning, and it’s why I go to work every day.